We are live from the summit, being held at the Madinat Jumeirah in Dubai, giving you the best of what we see and hear, updated every hour on the hour. Not everyone in the team of interpreters at the World Government Summit is familiar with the Hollywood techno-thriller The Interpreter where Nicole Kidman plays the protagonist from the United Nations headquarters, but there’s no denying they are all stars in their own right. 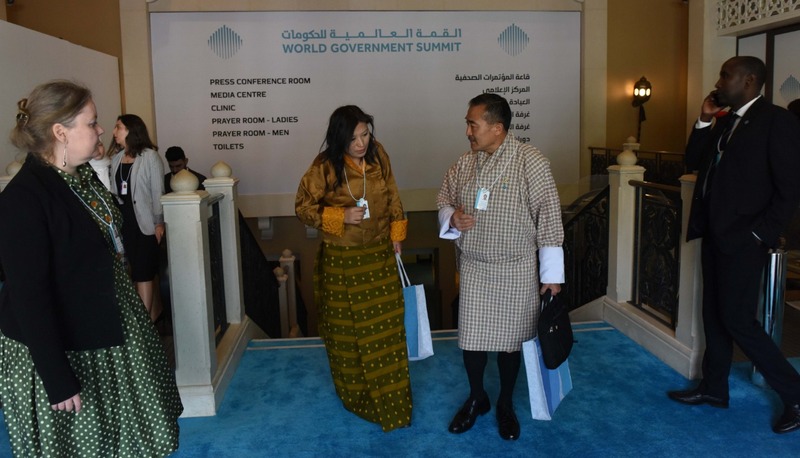 “We become the character of heads of state and other esteemed speakers whose speech we get to interpret for a few minutes, but in a different language,” said Ahmed Bechara, an Arabic-English-Spanish interpreter from 4 Pillar Communications, which has been tasked by the summit for a second year in a row to interpret speeches. Co-founders of the service Liliane Nakad and Racha Makaram said it’s a huge responsibility to get the messages of such highly placed speakers right, and convey it accordingly to the public. While an interpreter deals with the spoken word, a translator handles written text. All those working in the main conference hall are all UN-certified, while the rest qualify under the Association of International Interpreters Conference, the team members said. Besides interpretation of speeches, the team’s services are also enlisted for one-to-one meetings between dignitaries. “I just love my job as an interpreter because I get to travel to different places and meet people from different cultures. It’s a very enriching and educative experience,” said one team member who is specially visiting Dubai for the summit. ANYmal, a highly sophisticated four-legged robot, operates autonomously in challenging terrain which can be used for for inspection and other tasks. 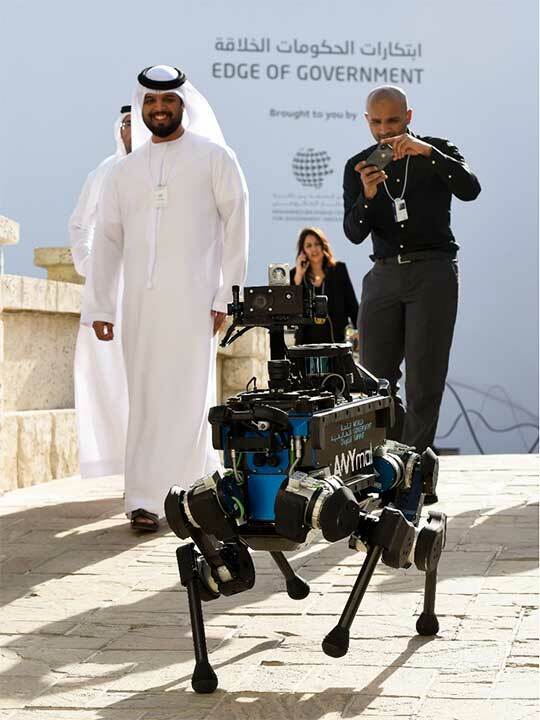 Its four legs allow the robot to crawl, walk, run, dance, jump, climb and more take a round of World Government Summit 2019 in Dubai on Monday, February 11, 2019. In the future, every single window (or a car, building, etc.) will be a solar panel, said Shaikh Hamdan, while talking about renewable energy and its cost in the future. In the cities of the future, we will focus on creating new routes, including air and land, such as Hyperloop and others, he added. By 2050, the world's population will double, so be aware of the issue of food security. Future cities will play a key role in supporting farmers and facing the challenge of global food security. 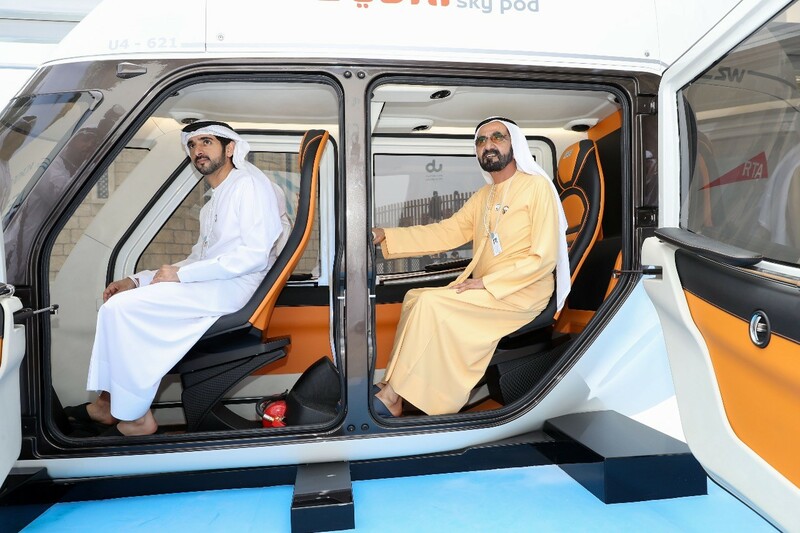 His Highness Shaikh Mohammad Bin Rashid Al Maktoum, Vice President and Prime Minister of the UAE and Ruler of Dubai, accompanied by Shaikh Hamdan Bin Mohammad Bin Rashid Al Maktoum, Crown Prince of Dubai and Chairman of Dubai Executive Council, reviewed two models of the Sky Pods, a mobility system being tested by the @RTA_Dubai in conjunction with Skyway Greentech Co.
Shaikh Mohammad attended a briefing by Mattar Al Tayer, Director-General and Chairman of the Board of Executive Directors of the RTA, about the Sky Pod models. The system occupies considerably less area than conventional systems of the same capacity. It is also characterised by higher power efficiency as it uses five times less power than electric vehicles. The first model of the Sky Pods is the Unibike, characterised by its small size and lightweight. It moves on steel wheels on a hanging railway. It combines the features of a high-performance electric vehicle and sports and recreational features. It is fitted with electric systems for driving the pod. It can be fitted with a power generator such as the Bicycle Dynamo, and as such it can be driven by the body mass of passengers on board. It can accommodate two riders and travel at a speed of up to 150 km/h. The second model of the Sky Pods is the Unicar. It is designed for long-haul journeys. It features a design compatible with the urban setting and international standards of Dubai. These ultra-modern innovative systems have the potential of enhancing smooth mobility through the construction of an elevated network connecting high-rise buildings. Each pod has a capacity of four to six seated riders and can travel at a speed of 150 km/h, Al Tayer explained. "It is also part of RTA’s efforts to enhance the integration of public transit means, and offer solutions for short journeys (first and last mile) enabling public transport users to reach their final destinations,” concluded Al Tayer. Dubai: Daniel Kahneman, Nobel Laureate and Professor of Economics, gave a fascinating talk here on the economics of artificial intelligence (AI). 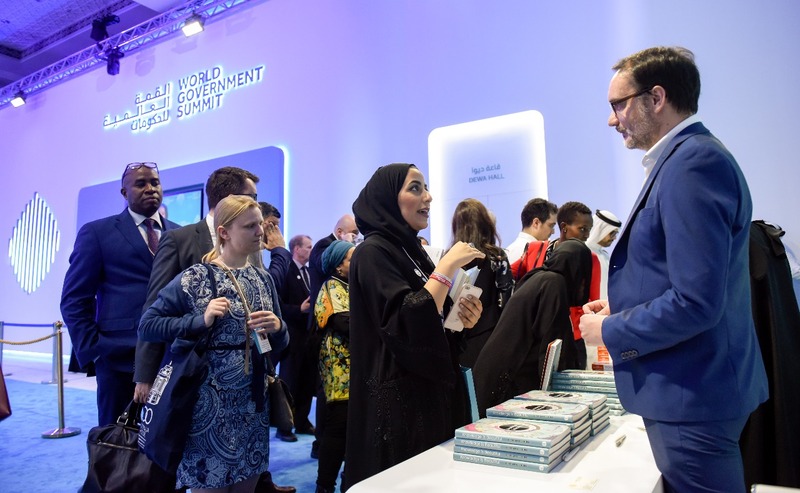 Kahneman, who won a Nobel for his research into how cognitive biases or quirks lead us to make irrational decisions, was speaking at the three-day World Government Summit in Dubai. He is a recognized expert on human and algorithmic biases. In research, a “bias” is defined as the inclination or prejudice for or against one person or group or idea, especially in a way considered to be unfair. Kahneman says human biases are more “dangerous” than algorithmic biases, used in AI. “Predictions of AI are much sharper (than human beings). You can program an AI machine to mitigate against biases. You train a machine to think with external objective criteria, without your biases." “There will be boundaries, if people impose boundaries,” Kahneman said. Can AI go against humans? Will they take over jobs that require specialised skills? What about concerns over AI, the use of machines in wars? Who will make decisions in carrying out military strikes? “There are going to be problems," he said, "for which an AI device will not be prepared. You have to program it order to recognise when it’s not prepared, and human beings could over-ride whatever the AI program says,” Kahneman said. The takeaway from Kahneman’s fascinating talk? “Disciplined thinking”. Ready for self-driving vehicles, driven by artificial intelligence? In a talk on the Fourth Industrial Revolution and how it can benefit mobility and the cities of the future, Mattar Al Tayer, Director-General, Chairman of the Board of Executive Directors of the Roads and Transport Authority (RTA), discussed ways governments can tackle challeges posed by mobility amidst the massive technological changes — including electrification of transport, AI (and some public resistance to AI) and robotics. "The first conference on self-driving vehicles will take place in #Dubai in October 2019," said Mattar Al Tayer at WGS in Dubai. 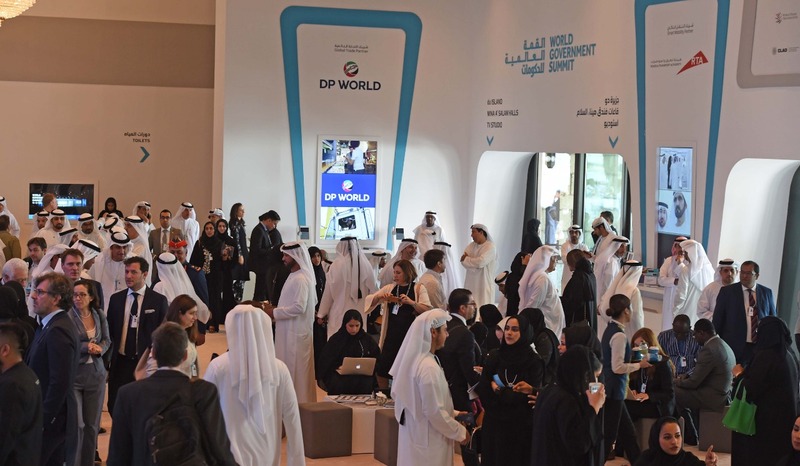 Al Tayer said: "The importance of artificial intelligence in the transport sector lies in the three objectives of supporting the management of major events, forecasting traffic and monitoring and dealing with accidents." 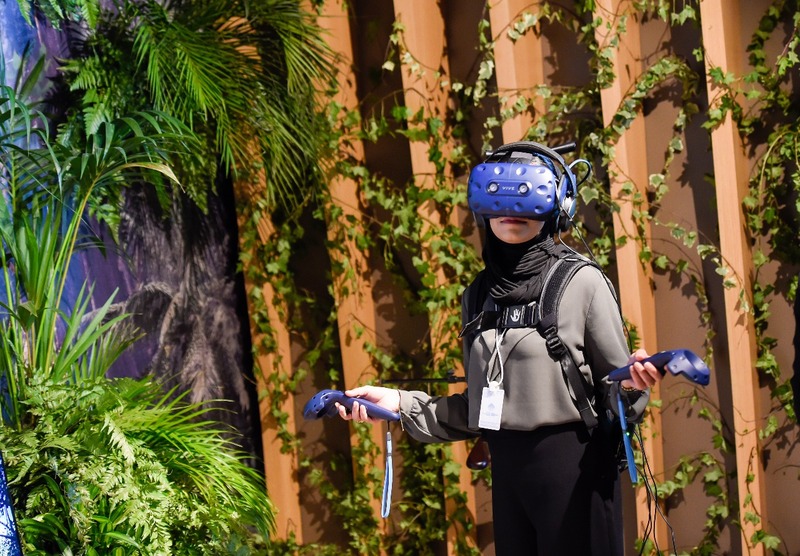 "We are coming up with major transformations, but we are ready to deal with them, given the roadmap set by His Highness Shaikh Mohammad Bin Rashid Al Maktoum, which confirms that governments that do not innovate are ageing." 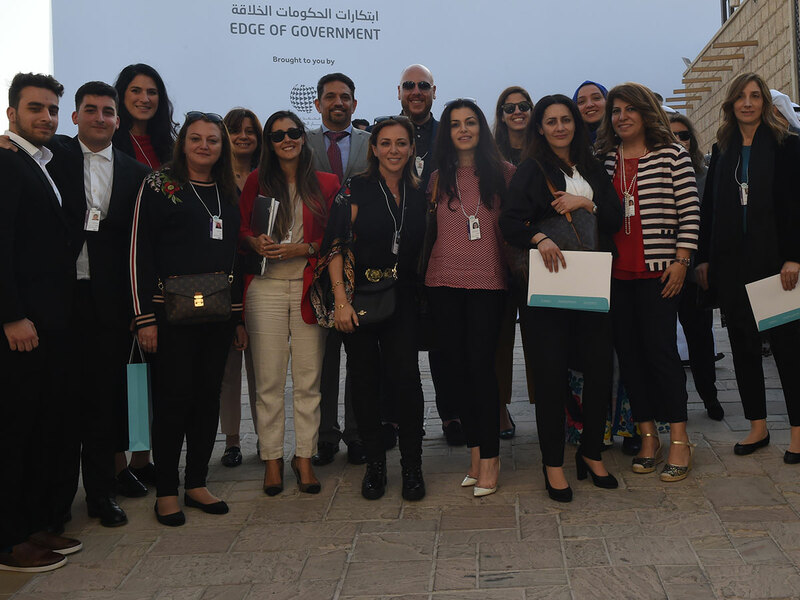 Is culture an obstacle to the rise of gender equality in the region? 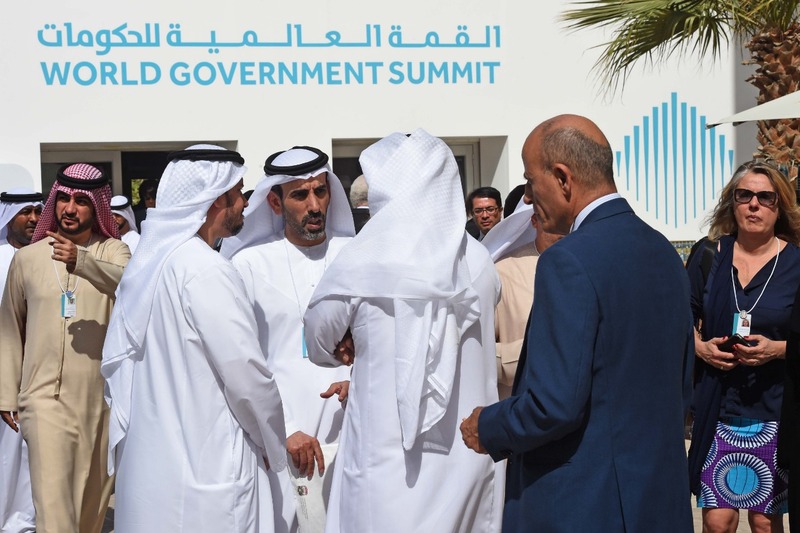 Dubai: Pro-active laws and regulations help ensure gender equality worldwide, the World Government Summit (WGS) heard on its second day. 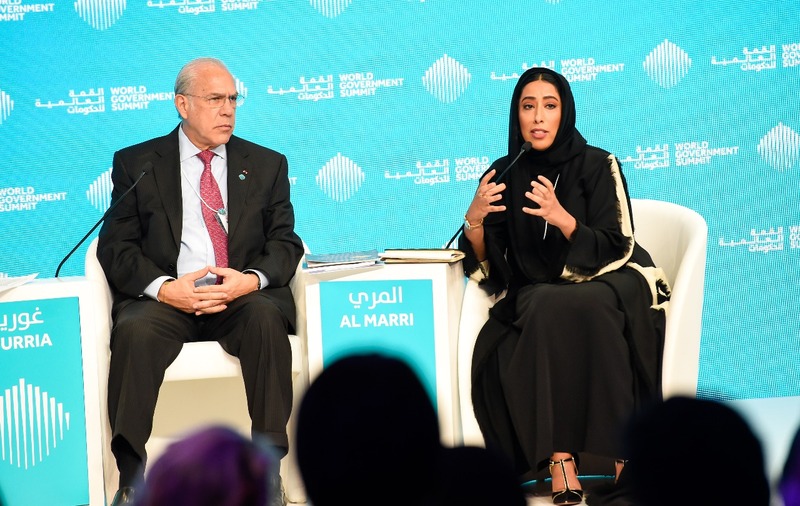 Speaking in a session titled "Achieving gender balance from policies to impact," Mona Al Marri, Vice president of the UAE Gender Balance Council, discussed the positive outcomes that have driven the gender balance agenda. She referred to the recent UAE presidential directive to increase women’s participation in the Federal National Council (FNC) to 50 per cent from 22.5 per cent, as an example of advancement in gender equality. “Women have more opportunities open to them in society, like politics and the economy, and even in fields like the military and police forces. They are present in all fields and sectors and have proven themselves to be successful in all these opportunities,” said Al Marri. Climate change, cancer and global obesity; all these problems can be solved if global experts and community-based design can come together to pool in their knowledge. But how can such massive processes be applied effectively? That's where design comes into play. 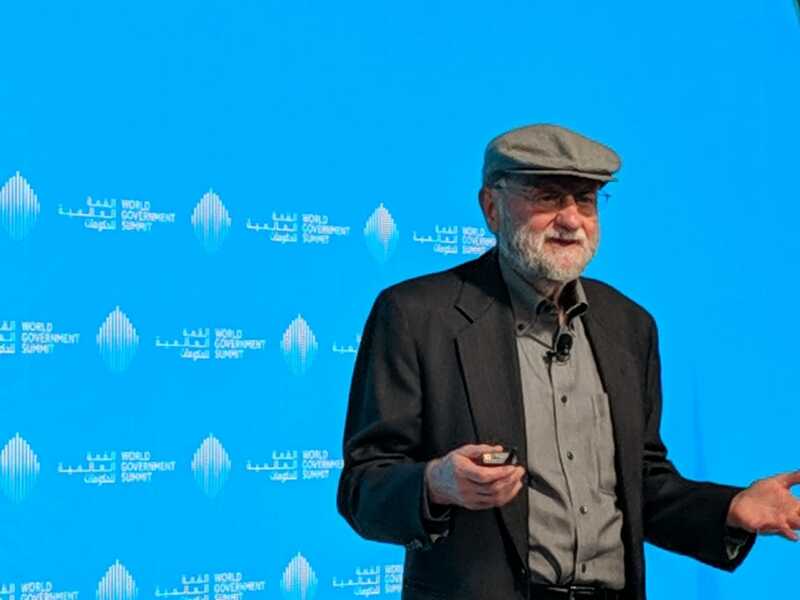 Don Norman, director of US-based Design Labs, spoke on Day 2 of the World Government Summit in Dubai to explain how human-centered design is playing a critical role in bringing two very separate kinds of experts together. According to him, a lot of solutions that are offered to tackle issues like climate change are not effective because the feedback is delayed. "Yes, I should recycle but how does it help? Feedback should be immediate because then I understand the impact of my action," he said. Currently, his team is working on the issue of lung cancer in eastern Kentucky. "This is a coat-tails community, so now they are out of jobs. There is a lot of drinking and smoking and people are eating food that is not healthy. But it is not really a health issue is it?" he added. Similar to the issue of lung cancer in a state in the United States, issues of global importance are often a complex mix of social, economic and political issues. According to Norman, that is where intelligent design plays a key role in finding solutions that work. 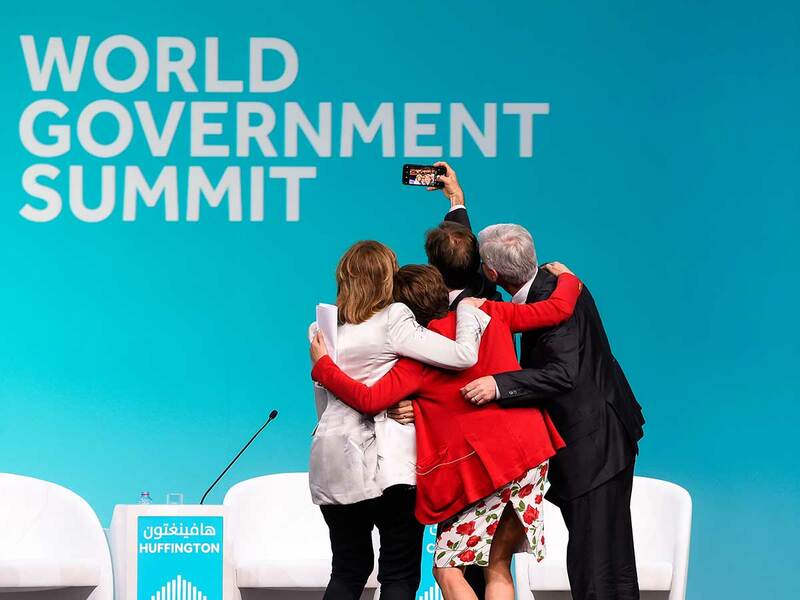 Sunday, the official first day of the World Government Summit saw world leaders join in on the conversation surrounding innovation and development. Yesterday's highlights included sessions with IMF Chief Christine Lagarde, Saad Al-Hariri - Prime Minister of the Lebanese Republic, Imran Khan - Prime Minister of Pakistan and various Nobel Prize Laureates, along with a Papal message from the Vatican. His Highness Shaikh Mohammad bin Rashid Al Maktoum, Vice-President and Prime Minister of the United Arab Emirates and Ruler of Dubai also attended the summit. The prestigious Best Minister award was given out yesterday to Dr Ferozuddin Feroz, Minister of Public Health of the Islamic Republic of Afghanistan. On the second day, the line-up of speakers is no less prolific. 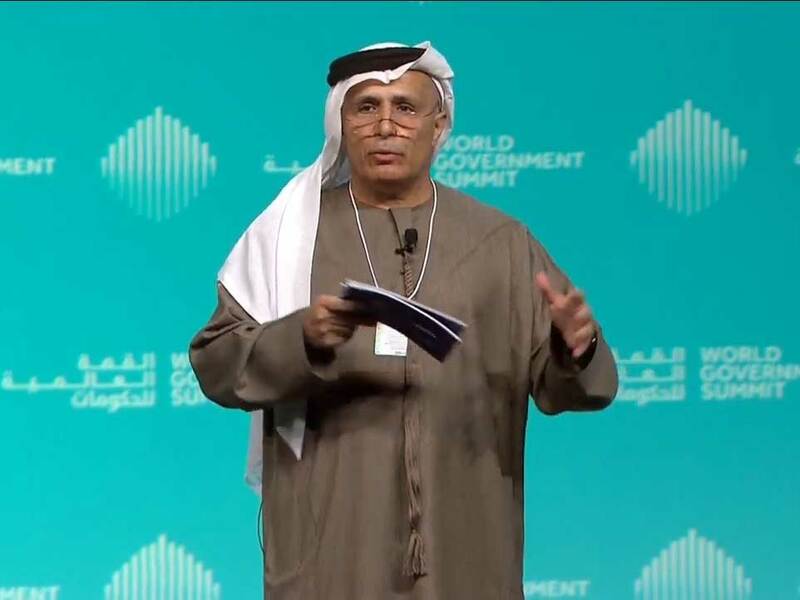 The opening session will be led by Saeed Mohammad Al Tayer, Managing Director and CEO of Dubai Electricity and Water Authority (DEWA) - speaking on 'The Future of Global Water Security and Sustainability'. Other speakers in this session include His Excellency Jose Angel Gurria, Secretary General of the OECD (Organisation for Economic Co-operation and Development) and Wang Zhigang, Special envoy of President Xi Jinping and China's Minister of Science and Technology. Other topics up for discussion on February 11 include "The Interplay of Tech and Government", "Redesigning Medicine", "Design to Transform Government" and "What is New in News". The guest country for the day is Costa Rica and the sessions from the country's representatives will focus on how Costa Rica is leading the way to sustainability. A highlight for the day is a session with His Highness Shaikh Hamdan bin Mohammad Al Maktoum, Crown Prince of Dubai. The session will be on "The 7 Shifts Shaping Future Cities".